Provocative. Thoughtful. Forward thinking. What do these words mean to you? 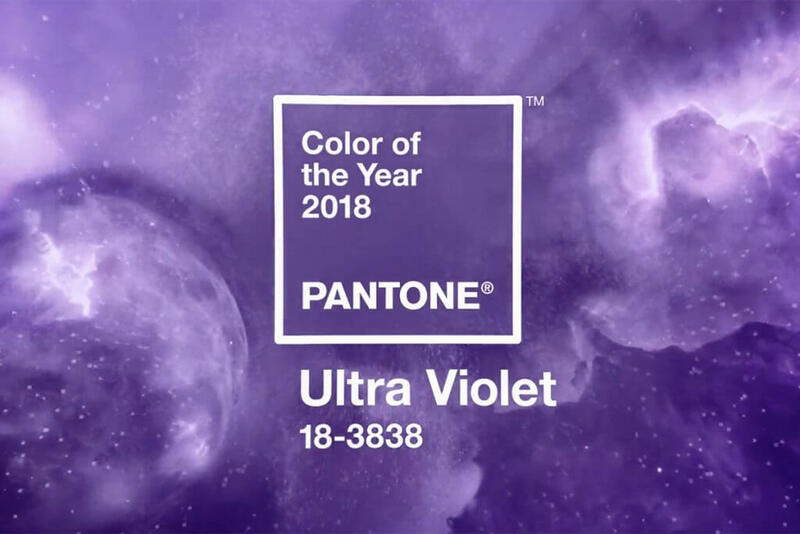 They’ve been used to describe the 2018 Pantone Color of the Year: Ultra Violet. Whether or not you’re a fan of the shade, Ultra Violet has been chosen as the most fitting color for the year ahead. We’ll likely be seeing it everywhere. But what is Pantone, and how does a color become the Color of the Year? When you think about a brand, what is the first thing that comes to mind? For many consumers, it’s color. We tend to make judgments about products within 90 seconds of first seeing them. And, up to 90 percent of our decision is based on color alone. Color is an essential piece of branding. To ensure a color is associated with your brand, you need to be consistent with it. This means that for uniformity, the exact shade must be used across marketing. The same shade of green for every Starbucks sign, the same red for each Coke bottle, and the same yellow for each imprint of McDonald’s’ golden arches. A color can even be trademarked if it is determined to be a critical distinguishing element of your brand. The easiest way for printers to ensure color consistency is by using a color matching system. Such systems assign a unique number to each shade, tint, and hue. There are many variations of “light blue.” But with a color matching system like Pantone, any printer anywhere can recreate the exact shade of blue you’re looking for just by knowing its numerical ID. Pantone isn’t the only system of its kind, but it is the most well-known. In the 1960s Pantone was a printing company that produced, among other things, color charts for different industries. But at that time, colors were printed based on color name, which led to reprints and inefficiency. Pantone employee Lawrence Herbert bought the company and released the first Pantone Matching System (PMS) guide in 1963, to reduce variability in color printing. At Paw Print, we use Pantone regularly to ensure the color side of printing goes as smooth as possible. Knowing the PMS color of your logo makes it easy for us to guarantee color consistency across all your print materials. 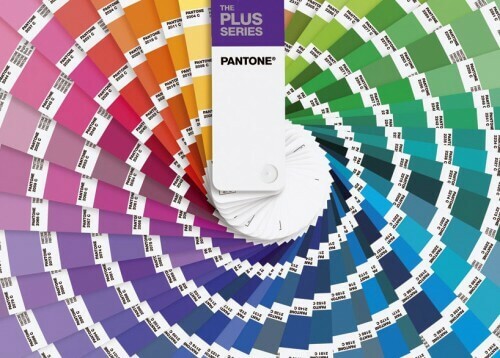 With over 1,800 colors defined for printing by Pantone, we’re sure to find the right shade for your brand. Over the years, Pantone has expanded its market to provide color standards for other industries as well, including interior design and fashion. Because of this, Pantone is more tuned-in than ever to the color trends that consumers are looking for—and they’re setting trends themselves. In 2000, they launched their first Color of the Year, a Cerulean blue. Cerulean was associated with optimism. This reflected the cultural pulse and current events of that time as we prepared to enter a new century. With each color since, Pantone has followed the same process: paying attention to world events and gauging current emotional and cultural trends. Every December, they release their chosen color for the following year. The color is especially important to designers. It sets trends for apparel, home décor, and other consumer products that will be followed throughout the year to come. 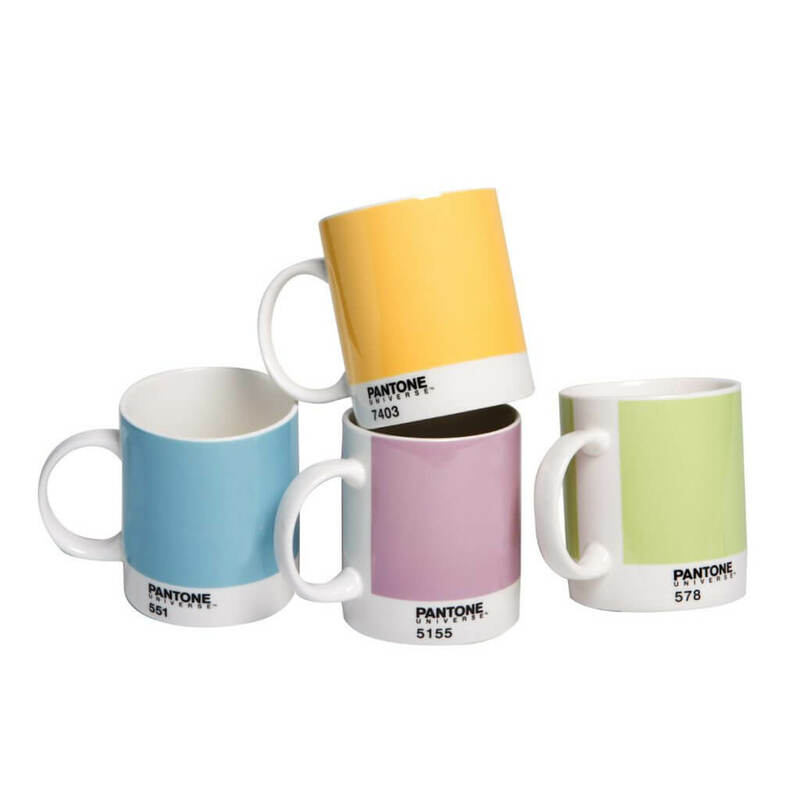 In addition to releasing the color, Pantone produces licensed products like mugs and suitcases, which are popular with a broad market. Earlier this year, they released “Love Symbol #2,” a purple shade created to honor music icon Prince. They’ve also worked with Sephora to develop makeup palates focused on the Color of the Year, showing how important color is for personal as well as corporate branding. What do you think of Ultra Violet? How would you use this color? Let us know! These days, we can pretty much find anything we’re looking for on the internet. We shop, research, and connect with others in the digital realm. And it’s where most marketers are being coached to put their resources. It’s true that digital is here to stay, and it’s opened up a world of possibilities for marketers. However, print still holds a place of prominence in the marketing world. Print has a 70% higher recall than digital, and about 80% of direct mail is opened. With fewer marketers investing in print, it represents an opportunity to give your marketing strategy a unique touch. A lot of different items go through our doors at Paw Print, but our most popular item consistently continues to be business cards. Often a business card is one of the first things a customer or potential client will receive from you. 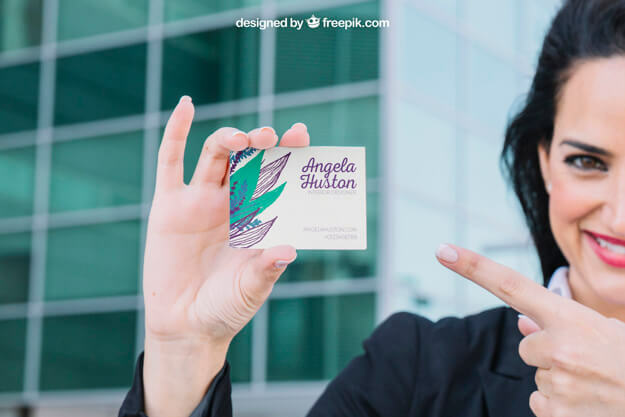 A well-designed business card can go a long way towards creating a favorable impression of your business, as well as generating engaging conversations between you and your customers. Why Should You Print Business Cards? 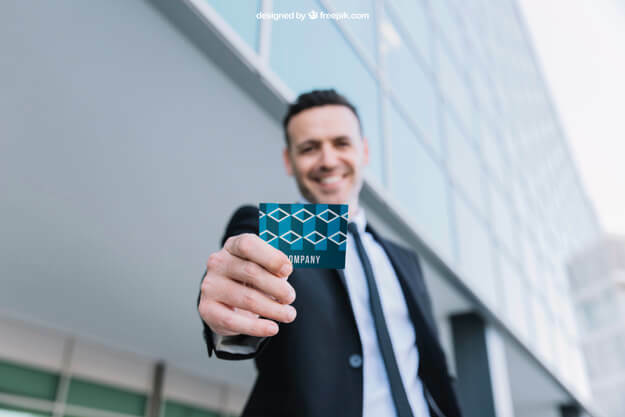 The traditional function of a business card is to provide customers and professional colleagues with contact information, like your phone number, address, and website. While business cards today tend to offer variations of this content, the truth is that this information is easy to find on the web. Having it in a physical form is helpful, but is not as essential as it was in the past. The key role of a business card today is to make an impression. Your card needs to say something about your brand that goes beyond how to contact you. To be the most effective, you need a card that recipients will want to hang on to, so that you will stay top of mind and clients will keep coming back to you for their needs. Consumers today access content from numerous sources, and they expect to be able to move across platforms seamlessly. This includes print, and it means that all of your marketing platforms should consistently utilize the same visual design elements, like color, layout, font, and images. You will want your business cards to contain these same elements because your card is a reflection of your brand. If your card doesn’t accurately reflect who your company is and what customers can expect from you, it will lead to confusion. One of the benefits of print is that there are many paper stocks to choose from. This leads to a wide range of variations in the color, thickness, and feel of paper. It’s important to remember that your business card functions to create a favorable impression of your business, so don’t skimp on quality. A heavier stock has a superior feel and speaks confidence and quality. Your customers will be able to tell and feel the difference. It’s important to remember that digital files look different than a final printed product will. Just because you can read something when it’s blown up on a computer screen does not mean it will be as easy to read when printed. Make sure your text is both large enough to read and clear, so that it is not obscured by complicated font or design elements. Sometimes text or borders can get cut off if they aren’t far enough from the edge of the card. Ask your printer where to place information so it won’t be lost when printed and trimmed. 5) Don’t Forget the Back! Many business cards are only printed on one side, leaving an empty side you could be using to make more of an impression. 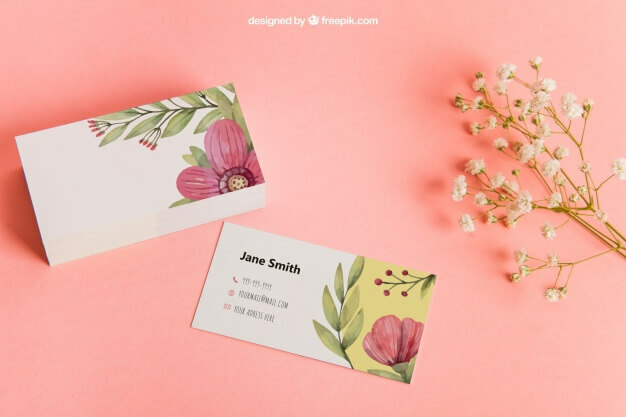 While you don’t want both sides to be the same, you can use the back of the card to include another design element or more details about your services. 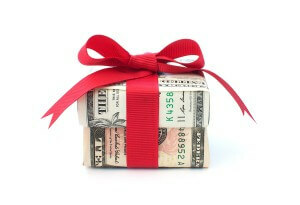 It gives the impression that you offer a well-rounded product or service. 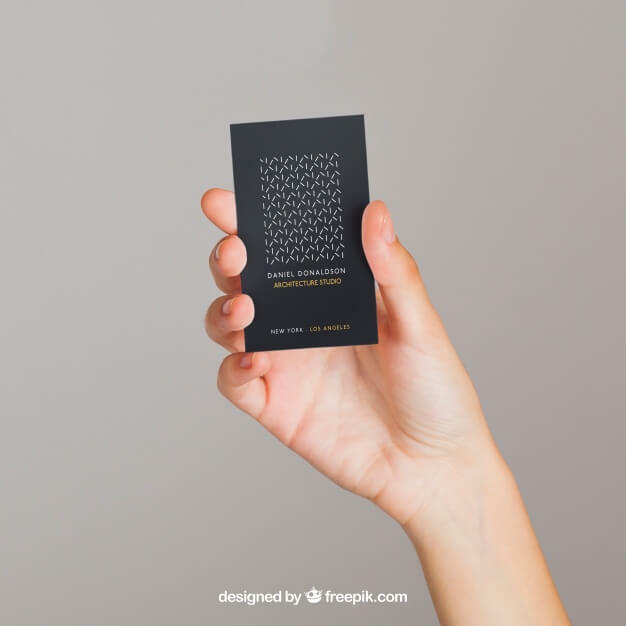 A business card doesn’t have to be a flat, simple rectangle. Printing options today allow for many variations on texture and shape. You could do a deboss on a card to achieve a 3D effect, or use cutouts for a creative touch. Other “wow” enhancements include engraving, foil stamping, thermography (raised ink), die cut shapes, and spot coatings. Consider the bare essentials that you must include on your card. If you really want to drive traffic to digital resources, for instance, don’t include a physical address on the card. Trying to cram too much information and too many design elements onto a small card could make it memorable for the wrong reasons. Simplicity portrays professionalism and the sense that you make things easy for your customers. 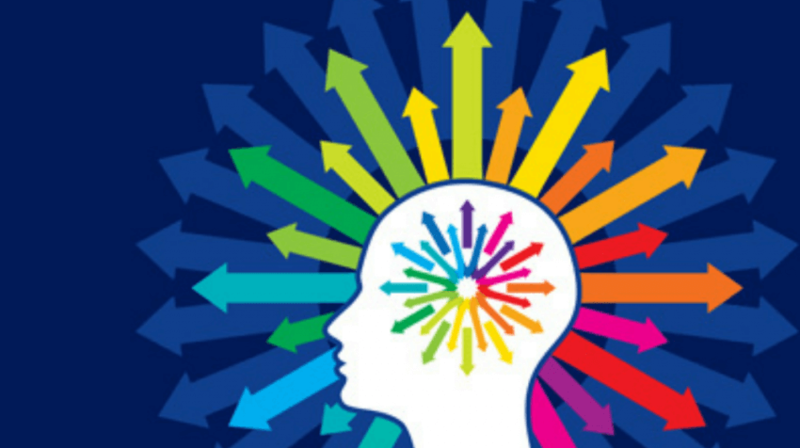 A big piece of the marketing pie is that people buy on emotion. Consider what emotion you want recipients of your card to experience. 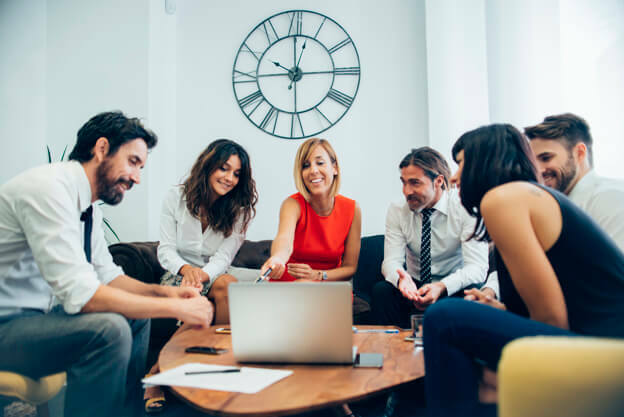 This requires a bit more thought, as you have to know who your clients are and what solution or sense of fulfillment they are looking for from your business. How can you portray what you will offer your clients? Try to capture the enthusiasm you have for your business in the card you hand out. Print has stuck around because of its tactile power. Being able to hold something in your hands improves recall and sends a more personal message than a digital communication. If you’d like to add business cards to your marketing strategy, or feel your current card needs some love, contact Paw Print & Mail today to start the discussion.